Heart Day is almost here. What to make? For me, this holiday is not about red roses but paper and scissors. (And maybe a bit of chocolate, too.) I like trading valentines that remind me of my school days: home-hewn, simple, with lots of pink and red. Paper hearts fill my criteria for simple: the folds are easy enough for kids’ hands and the results are colorful, with the delicious gloss and saturation of origami paper. I used 3 x 3″ origami paper (which makes 2″ hearts) but larger paper would work well, too. 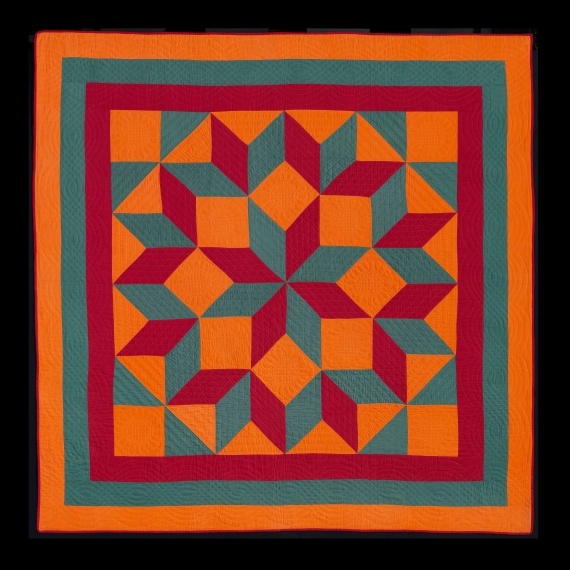 The quilts displayed at the Quilts and Color: The Pilgrim/Roy Collection now at the Boston MFA are not for those who prefer a palette muted and restrained. While my kids were wolfing Fenway franks at the ballgame this past weekend (Go Sox! ), my mom and I snuck off to to take a peek. 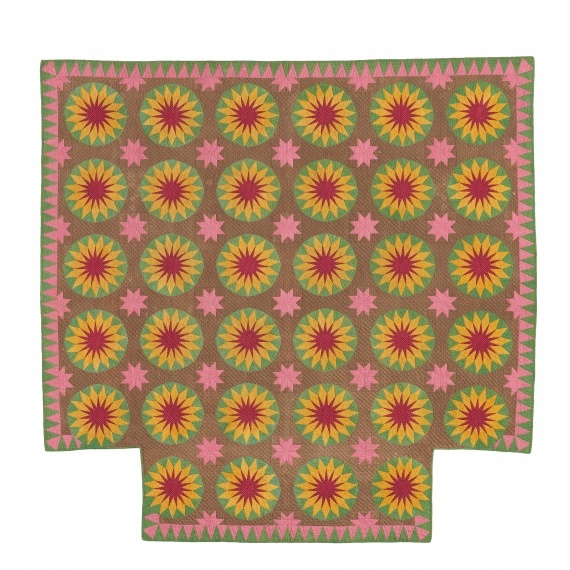 These are not your grandmother’s quilts–or are they? In room after room, we encountered vibrating, dizzying color in bold patterns that are amazingly modern considering that their mostly Mennonite and Amish makers lived in the 19th and early 20th century. Trained as artists, Gerald Roy and Paul Pilgrim collected quilts reminiscent of modern abstract art. 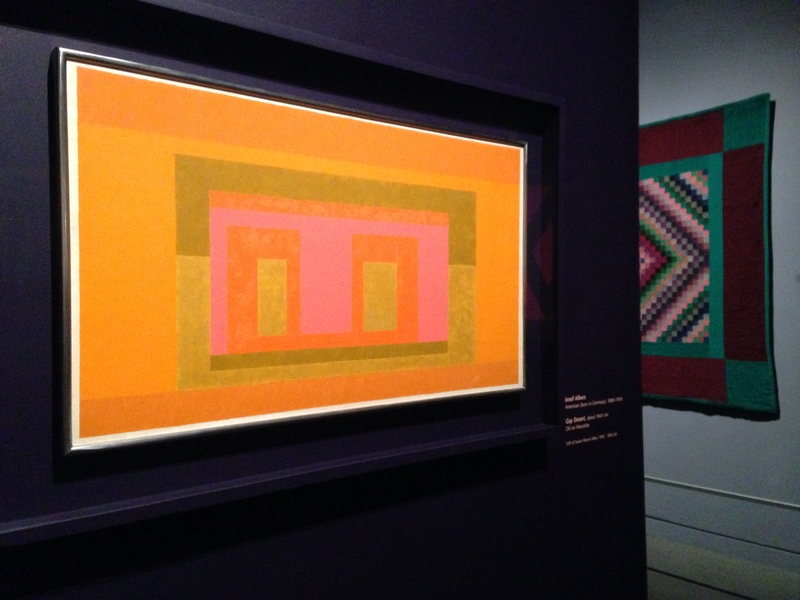 They noted that the quilters displayed an intrinsic color sense, experimenting with saturated hues and color effects. In each room of the exhibit are paintings by Abstract Expressionists and Op Artists, highlighting the affinity between the quilts and the twentieth-century art. The exhibit runs through July 27, 2014. 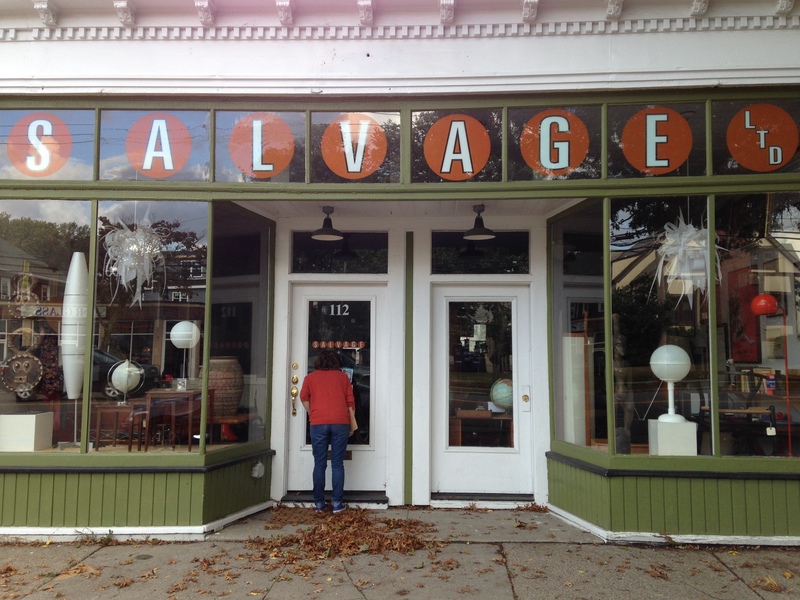 I’m not sure how the very hip store, Salvage, found its way to my neighborhood (a happy one, but not particularly hip). Nevertheless, we are blessed with a store front full of mid-century teak and things the shape of kidney beans. I like to go in and gawk at the old-timey artifacts of my (recent?) past–cameras, typewriters, telephones with curly cords. Last time, I wandered in, I found these Jessica Brilli paintings on display. She likes the old stuff, too. I’d love to buy a Brilli–or a whole pod of them (a gaggle? a flock? what’s the word for a horde of paintings?). I’m short on cash but maybe we could make a trade. Jessica, how about I’ll paint triangles on your staircase in exchange for the typewriter on red? 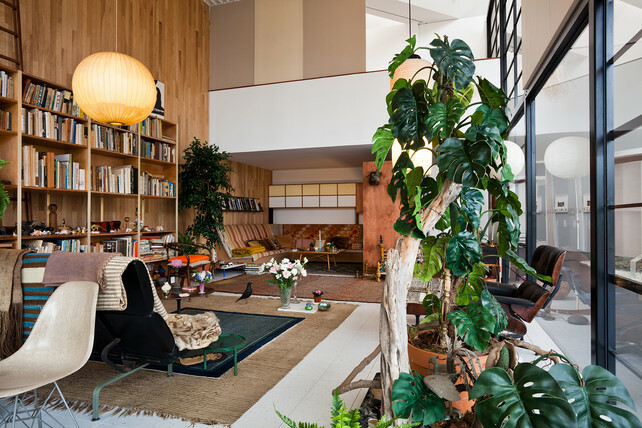 What’s not to love about the Eames? But, what I really love about this recreation of their living room–on exhibit at LACMA and posted on co.design–is how much stuff they have. After years of living in small spaces and reducing clutter (do not ask my daughter about the great Barbie purge of 2011), clearing surfaces, and minimizing in general, I am ready to gather some stuff (take that Real Simple!). There is an art to curated clutter and it starts with things that you love. In the past, when I happened upon some little thing that caught my eye, I would ask myself, “but where would I put it?” and pass. I plan to take some inspiration from this lovely lived-in room and follow my fancy a little more. Hurray for Charles and Ray! If you want to see some real drama–of the falling-to-the-floor and writhing-in-agony variety, just mention the words “art museum” to my kids. They love art, but art museums–not so much. We managed to go to the Isabella Stewart Gardner Museum in Boston through bribery (chocolate-chip cookies) and by bringing an extra kid (our fun cousin Lucy). It was well worth the cookies. 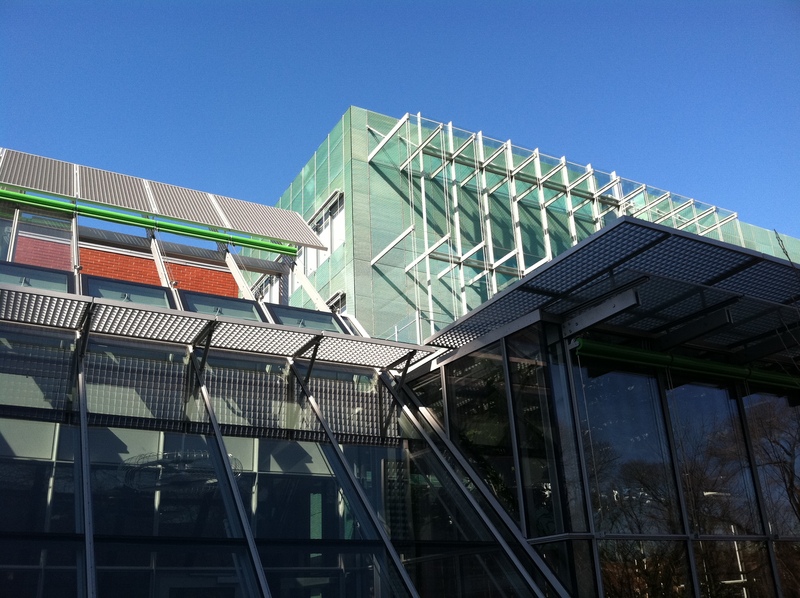 The just-opened museum extension by architect Renzo Piano was stunning (with emerald green bathrooms), the courtyard a midwinter tropical oasis, and Sargent’s “El Jaleo” as startling as ever. 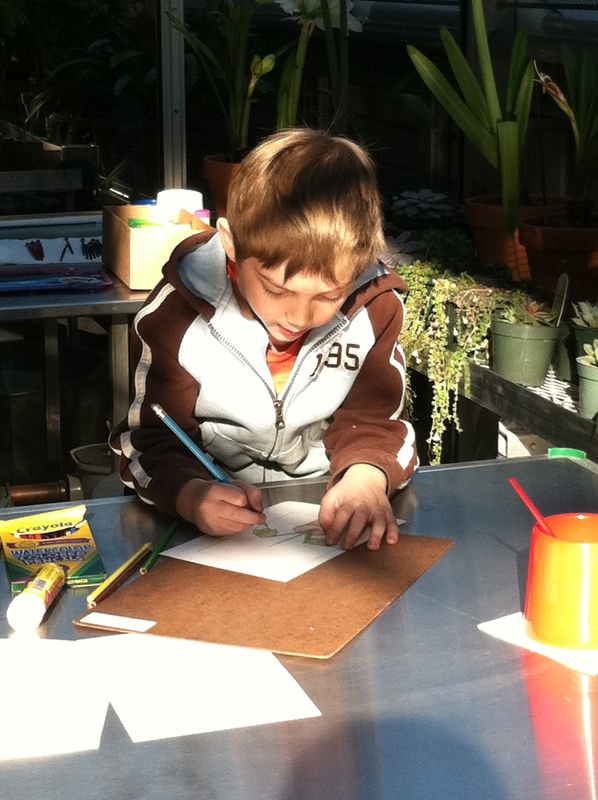 The museum offered not just one but three art projects for kids. We made embossed drawings, painted watercolors, and constructed crowns, shields, and swords in the museum’s new art room. We went home happy and with arms full of art.